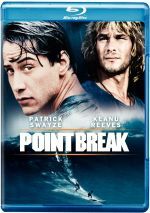 This package includes both 2D and 3D versions of Point Break. The picture quality comments above address the 2D edition, but I also want to talk about the 3D image. In terms of picture quality, the 3D Break held up well. Like most 3D Blu-rays, it occasionally seemed a tad softer than the 2D edition, and it could be darker. Those weren�t substantial concerns, though, so the movie usually produced very nice visuals. As for the 3D imagery, it�s perfectly decent. On its own, the 3D presentation seems fine, but I don�t think it brings real pizzazz to the movie. It offers more depth, though this can take on something of a �Viewmaster� feel without the most natural impression. 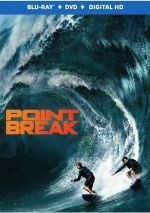 I don�t dislike the 3D version but feel the 2D edition offers the more enjoyable visual presentation; the 3D effects fail to contribute a lot to the movie.